These photos show that also an aircraft wreckage can be useful to avoid future incidents. Taken on Jul. 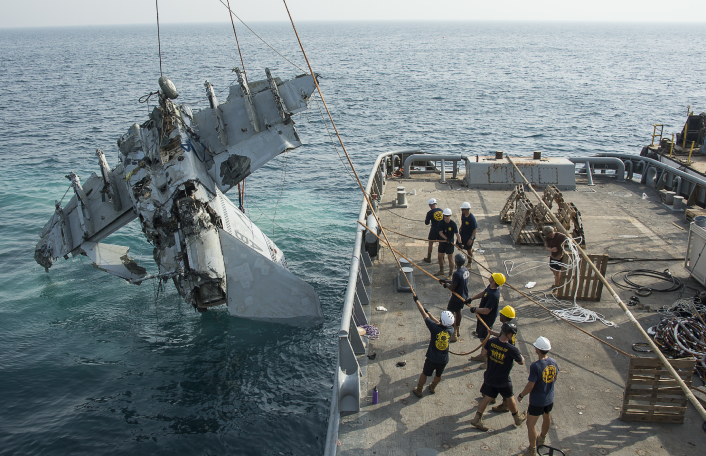 22, 2015 the following interesting pictures feature U.S. Navy Divers and Explosive Ordnance Disposal (EOD) technicians, assigned to Commander, Task Group (CTG) 56.1, successfully salvaging an F/A-18F Super Hornetlost at sea aboard USNS Catawba (T-ATF 168). Noteworthy this aircraft was lost because of a mechanical failure suffered by one of its engines and its salvage will allow a close inspection on the engine that failed. 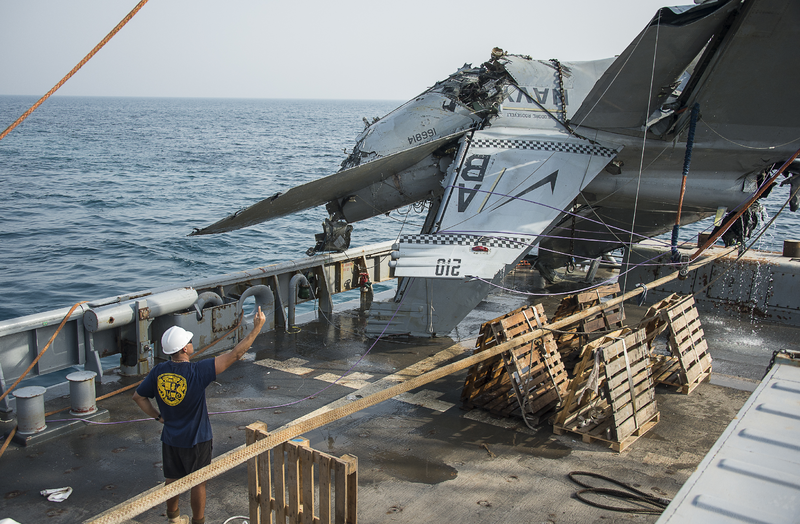 This F/A-18F (AB 210, BuNo 166814) was assigned to the “Fighting Checkmates” of Strike Fighter Squadron (VFA) 211and crashed in the Arabian Gulf on May 12, 2015 shortly after its launch from the aircraft carrier USS Theodore Roosevelt (CVN-71). 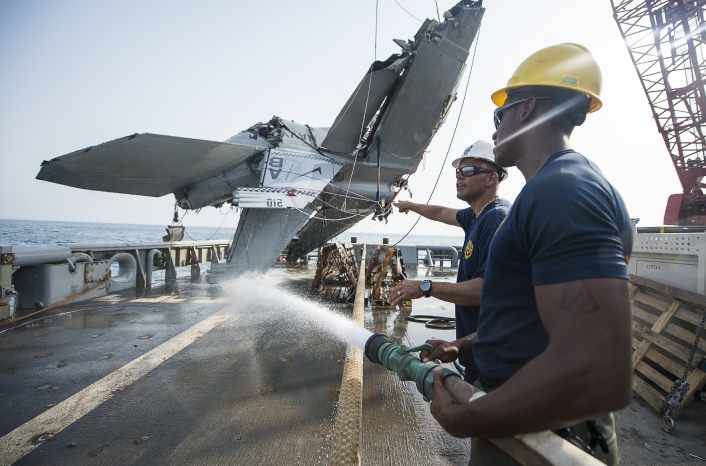 The aircrew ejected safely and was recovered by USS Theodore Roosevelt search and rescue personnel. Does Navy Drone Spell The End Of The Super Hornet? 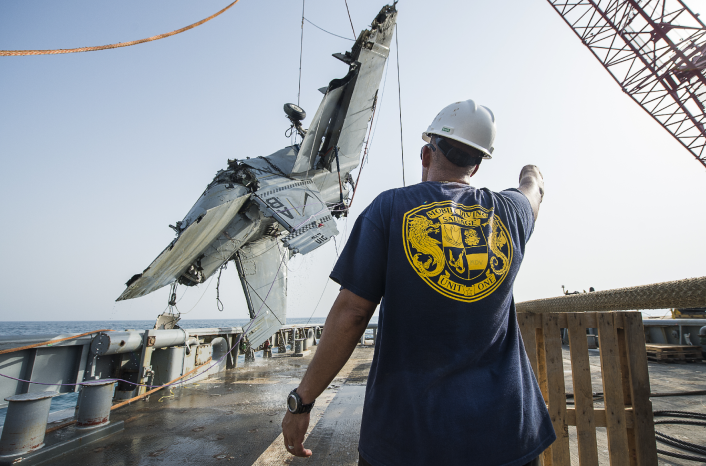 What comes next for the Navy’s second oldest carrier?